Deputy Surgeon General Cyril James Mansfield MVO (Royal Navy) dies of blood poisoning. He is the son of the Reverend Edward Mansfield. 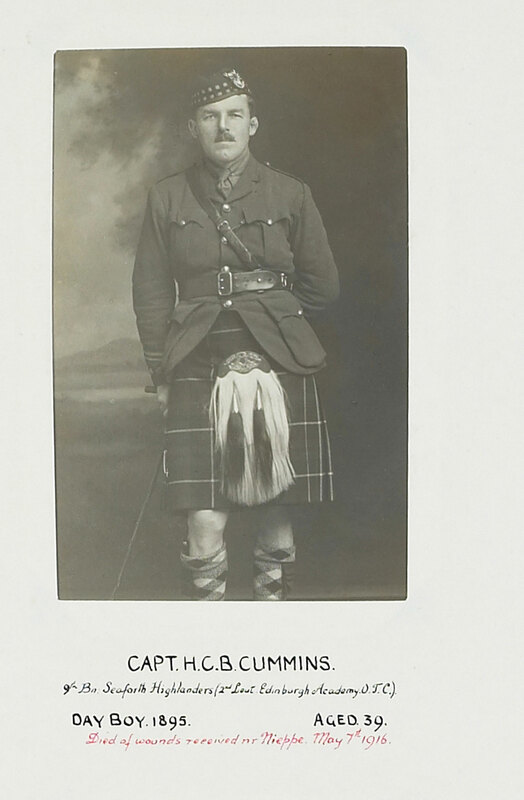 Captain Herbert Charles Bruce Cummins (Seaforth Highlanders) dies of wounds received in action at age 39. He is the son of the Reverend William Henry Bruce Cummins. Lieutenant Edmund Oswald Griffith Williams-Meyrick (Welsh Fusiliers) dies at age 39 at Gibraltar. He is the son of the Reverend John Meyrick Williams Rector of Beaumaris. Private William Henry Heaphy (Irish Guards) dies of wounds received at Ypres at age 33. He is one of three brothers who made the supreme sacrifice. Private Walter Jeffs (Bedfordshire Regiment) dies of wounds at age 22. His brother was killed in action last May. Private Richard F Arthur Westphal (Royal Fusiliers) is killed at age 19. His brother will be killed in April 1917 and they are sons of Bishop Westphal. Private Roderick Morgan Smith (Durham Light Infantry) is killed at age 20. His brother will be killed in December.